Robinsons' European Vacation 2012: Safely Arrived in Bonny Scotland! Today we had a long but cheerful journey under clear skies to bonny Scotland! 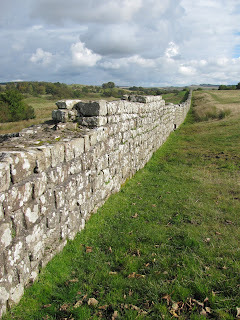 We left York around 9am and drove to Birdoswald Roman Fort on Hadrian's Wall in Gilsland, Cumbria - about half-way, in England's north. 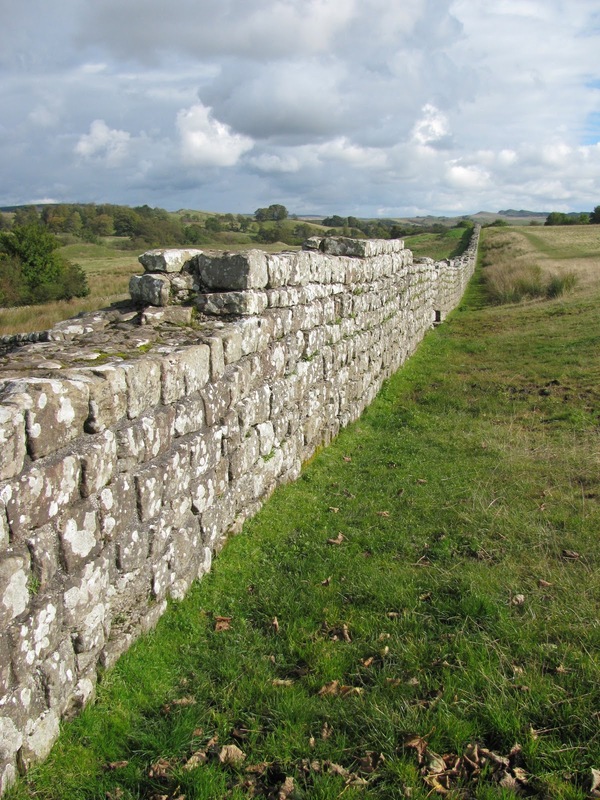 We were relieved at the chance to break up our trip,while looking around the remnants of the old Roman fort - chasing sheep and marvelling at the wall the Romans built to protect their lands nearly two thousand years ago. While we enjoy new places and museums, some of our best days have been in the open spaces and countryside, next to nature and animals. We finally arrived at our hotel, just outside of Glasgow, late afternoon. The friendly Scottish hospitality was so welcoming. Unfortunately, after Sean had his shower, the pipes flooded the room underneath ours, so now we are restricted to baths only! Tomorrow, we are looking forward to a fully cooked breakfast before venturing into town and discovering our local neighbourhood and Abbey. We have already seen our first few kilts and love those wonderful Scottish accents! Looks like we also have wifi tomorrow as well. Hooray! Eeeek - Sean flooded the room below - hilarious - hehehehe - I know Brett always said Sean took too long in the shower but I didn't realise it was that long!!! 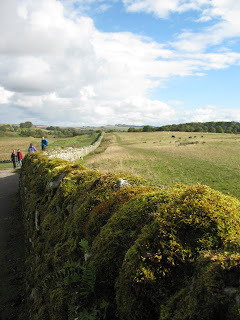 Love the photos of the countryside - it looks sooooooo green! Still so very dry here! We had a little bit of rain last week but hardly enough to settle the dust!! !